WordPress cache plugins are often freely available and helps one work in improving the speed of his/her blog. Firstly in trying to distinguish between WordPress super cache and W3 Total Cache, it’s important to note that with WordPress super cache plugin, it’s possible to convert dynamic pages into static files (HTML files) from a WordPress blog though it falls short of important features like database cache, browser cache, CDN support and page caching that are offered in the W3 Total Cache plugin. In examining how a WordPress Cache Plugin works, once installed and configured on a website, a static html file(s) is generated from the WordPress blog. Once the html file is generated, the webs server serves the file to visitors in alternative to processing a much more expensive and heavier WordPress PHP script thus increasing the speed on the site. i) Automatic disabling of gzip compression in WordPress instead of dying. ii) Regenerating super cache static files in serving an outdated file thus lowering the load on a server with plenty of traffic. iii) Doesn’t cache requests with GET parameters. iv) Good support for windows platforms and serve cached static files on Red hat/Cent systems and those that have entries for gzip in /etc/mime.types. i) Mod rewrite modules and Apache mode mime installed while WordPress custom permalinks enabled. ii) Edit wp-config.php and have WP CACHE AND WPCACHEHOME defines deleted. 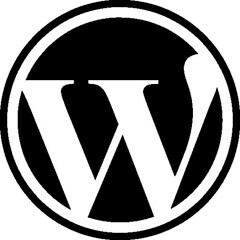 iii) WordPress users are to activate the plugin 'WP super cache' on their plugin page. iv) Has WP Super cache under settings enabled. v) Create the file 'wp content/cache/.htaccess' if missing. This is after enabling the plugin. With W3 Total Cache, the user experience on a website is improved by an increase in server performance, providing transparent CDN integration (content delivery network) reducing download times. i) uninstall/deactivate any plugin that maybe in use. ii) As page caching runs in basic mode, have permissions of wp content back to 755.
iii) Enable functionality to optimize the interoperability of caching in the advanced section of 'Compatibility Mode'. iv) Set the preferences on the 'Content Delivery Network' tab and populate the fields. In conclusion, the W3 Total cache plugin is better while examining the features, configuration and ones' speed test. With no technical knowledge on either of the plugins one can as well install and enable them and be ready for action.